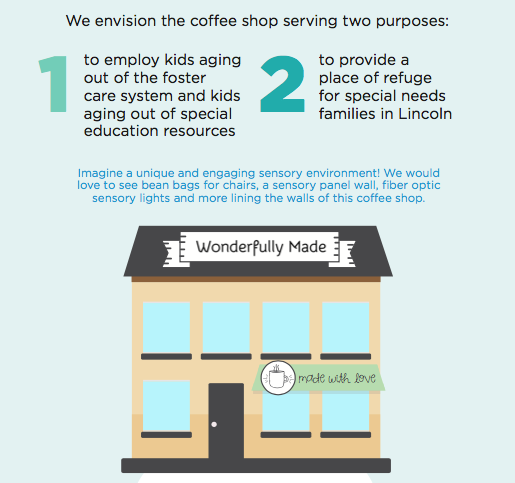 We are so excited about the vision for Made with Love Coffee and the employment opportunities it will bring to the city of Lincoln for young adults with special needs and those aging out of the foster care system. We hope to create an amazing environment that offers grace-based employment, job experience, and increased social interaction for both employees and members of the community. 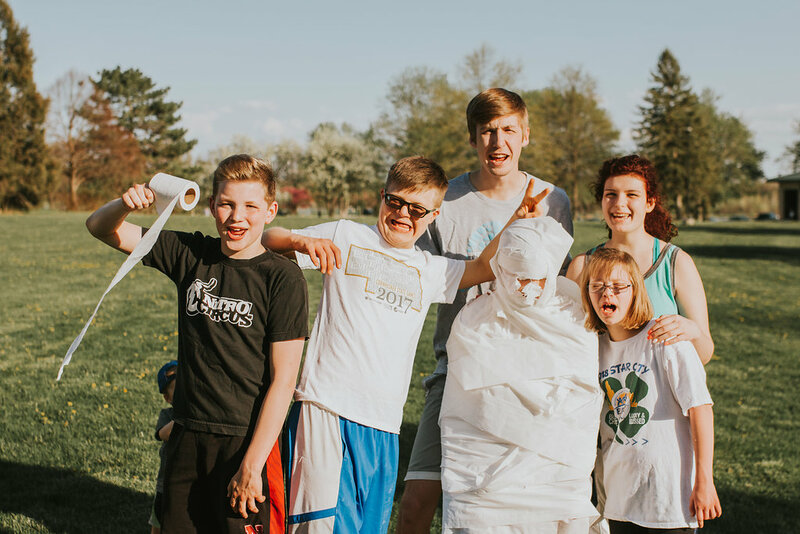 With your help we will be able to equip young adults to be successful and independent while also creating a sensory-friendly coffee shop that welcomes families from varying backgrounds and re-defines community. Thank you in advance for your generous support of Wonderfully Made and the future home of Made with Love Coffee. We have raised $11,422.00 of our goal.